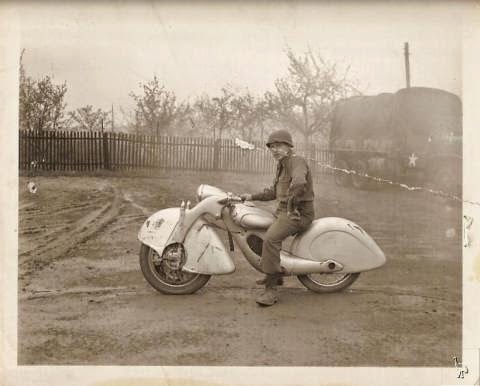 After a long time I did not write about antique motorcycles, this time the writing subject is two German made motorcycles which is unique in terms of both design and technical and are made in the period before the second world war. Some weird and wonderful motorcycles that were decades ahead of their time and still leave a lasting impression today. Megola motorcycles designed by three German Engineers named MEixner, GOckerell and LAndgraf in Munich and was made between 1920 to 1925. 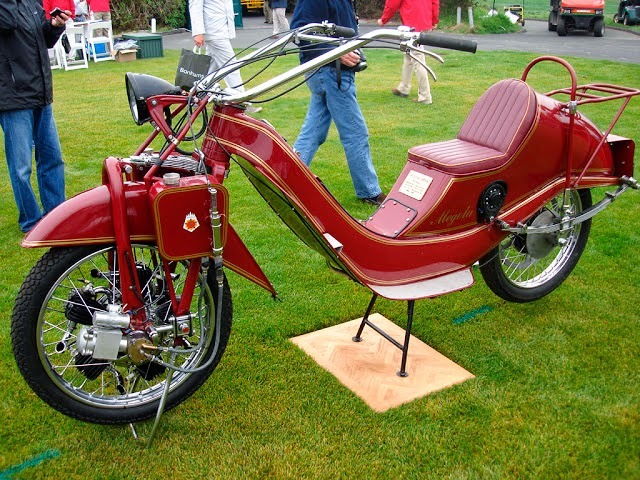 This bike uses a sv (side valve)-5 cylinder radial engine with 640 cc and 14 hp in the front wheel. If you look at Megola machine that has great torque, so as to make this motorcycle accelerates from (almost) zero mph up to a maximum speed with only one gear. At the time of stopping, the motorcycle engine must be turned off. And if you want to use it again, the rider must had to push to start the engine again. Imagine if you ride the bike on on a street that has a many traffic lights and vehicles, you must have been exhausted before reaching the destination. Although somewhat unique and strange, this Megola had to succeeded in the race with riders like Toni Bauhofer, Josef Stelzer and Albin Tommasi. Megola has a top speed record of 140 kph. In its heyday is made up of 2,000 units, making Megola was one of the world's rarest antique motorcycles. 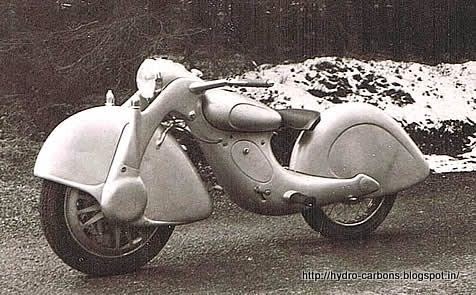 This bike is made by Killinger and Freund Motorrad, which was founded around 1935 by five engineers from Munich, Germany. 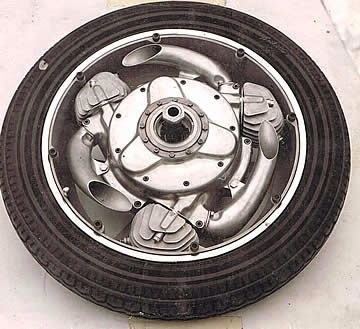 They are compelled to create, develop and refine a motorcycle-that inspired by Megola motorcycle. 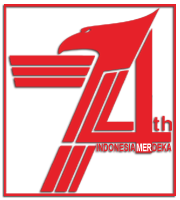 The five German engineers is heavily inspired by Megola motorcycle and then do the research over 3 years to create much more perfect motorcycle than Megola. And it turns out their results far beyond than they expected. 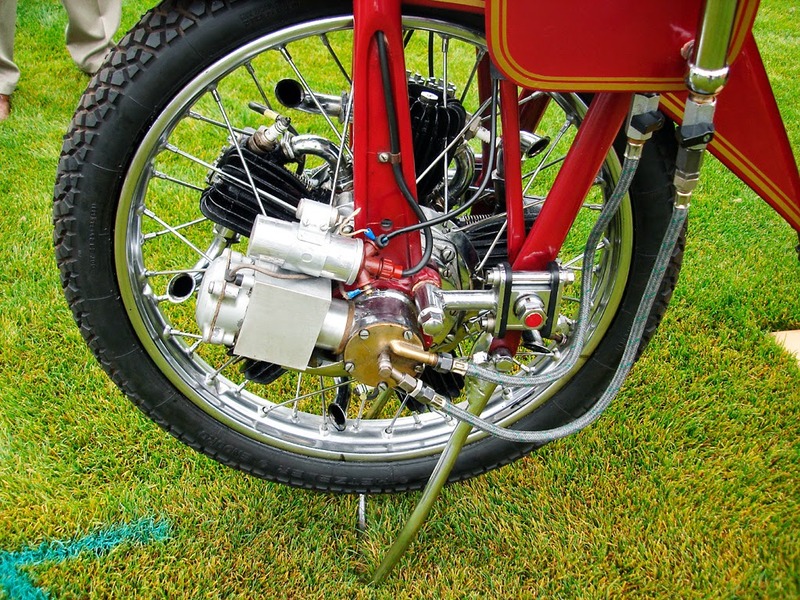 They managed to create a motorcycle prototype that using a 2 stroke 3-cylinder engine that has a capacity of 600 cc with an aerodynamic design and a weight of about 135 kg which turned out to be much lighter than the 100 cc motorcycle at the time. 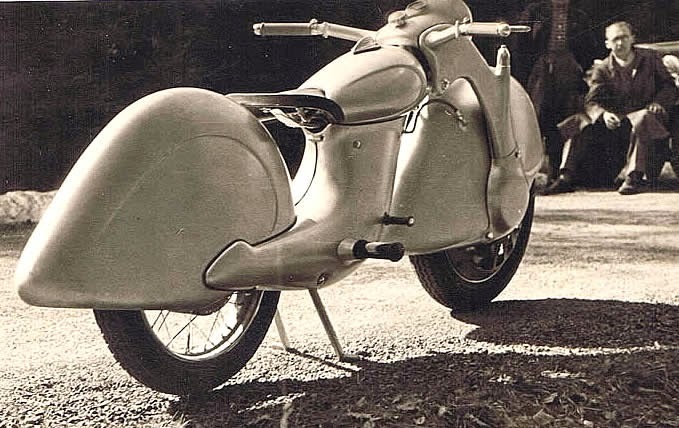 From the design they successfully apply the streamlined principles on this bike, that almost never been applied and created for a motor vehicle at that time. While the technical side they also managed to combine in the form of 3-cylinder engine that is compact and lightweight at only 50 kg as a driving force on the front wheel without disturbing the driver and wheel performance! This bike is not in mass production due to the outbreak of World War II. 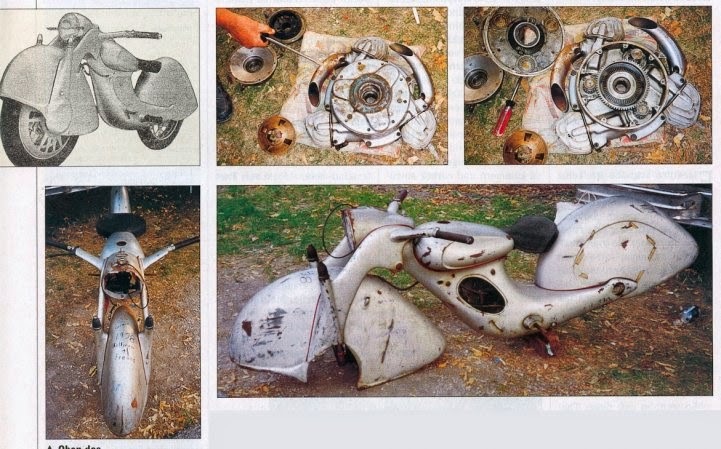 One motorcycle was discovered by the US-Army in the spring of 1945 at a German military station but it is not known if this was the original prototype or another Killinger und Freund Motorrad. 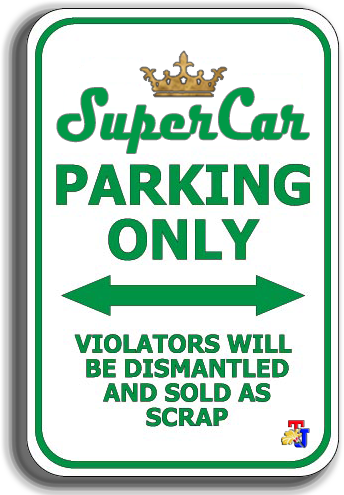 The location of that captured vehicle is unknown. And lastly there is one image that really makes me sad, it seems one unit of Killinger & Freund that has disassembled its components. Because the source is not clear when and where is it located (I think it's the same unit with the Allies booty, see the broken line of paint on the front fenders).